Pianist Kira Ratner, from a St. Petersburg family with a rich musical heritage, received her first piano lessons from her mother at the age of five and first performed publically at age seven. She completed studies at a dedicated music school at the St. Petersburg State Conservatory, and at the Hochschule für Musik Köln (Cologne University of Music), in each case receiving honours. After passing her performance exams in October 1997, she became lecturer at the Cologne University of Music and in 2001 also at the Robert-Schumann Hochschule (Robert Schumann University of Music and Media), Düsseldorf. 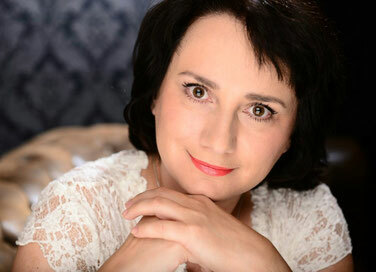 Kira Ratner regularly performs in concert tours throughout Europe and Southeast Asia, as well as in international festivals like the Schleswig-Holstein Music Festival and the „Festspiele Mecklenburg-Vorpommern“ (a summer music festival in the state of Mecklenburg-Vorpommern). In addition to her stylistically sophisticated touch, the pianist has received praise for her fabulous technique, high sensitivity, and an unbelievably intense alertness paired with a willingness to adapt. Her artistic abilities have been documented in numerous radio and television recording by ARD, WDR, and NDR in Germany, ORF in Austria, Radio Classique France, and Russian broadcasters. Alongside regular concert engagements with well-known soloists, Ratner has performed in recordings with Saschko Gawriloff, Natasha Korsakova, Michael Faust, Francoise Groben, Julia Polziehn and Monique Mead.